For the remainder of the 2015 season, Anderson's Maple Syrup will be the primary sponsor for local Super Late Model veteran Dennis Prunty, driver of the #42 DDP Motorsports car. In the spring of 2015 Dennis began his 24th year as a race car driver. Dennis spent 2014 racing at Slinger Super Speedway, finishing 2nd in points and once again went to the Snowball Derby in Florida, where he competed against some of the best drivers in the world. To finish off the 2015 season, Dennis will once again race in the Snowball Derby. 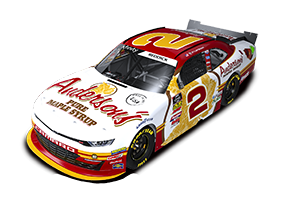 Anderson's would like to wish Dennis luck and are excited to be a partnering with DDP Motorsports for the remainder of the 2015 season. Continue to check back as new updates get posted.